This trip will sell out quickly due to the once-in-a-decade play. Experience one of the world’s greatest dramatic spectacles amid storybook Bavarian landscapes—the extravagant Passion Play staged once a decade by the quaint village of Oberammergau. With a cast of thousands and a legacy that encompasses nearly four centuries, Oberammergau is a rare and exceptional tradition. This custom itinerary blends remarkable history with stunning scenery, featuring a five-night deluxe cruise along the Danube River, two nights in the idyllic Bavarian Alps and two nights in Munich. Visit four countries—Hungary, Slovakia, Austria and Germany. 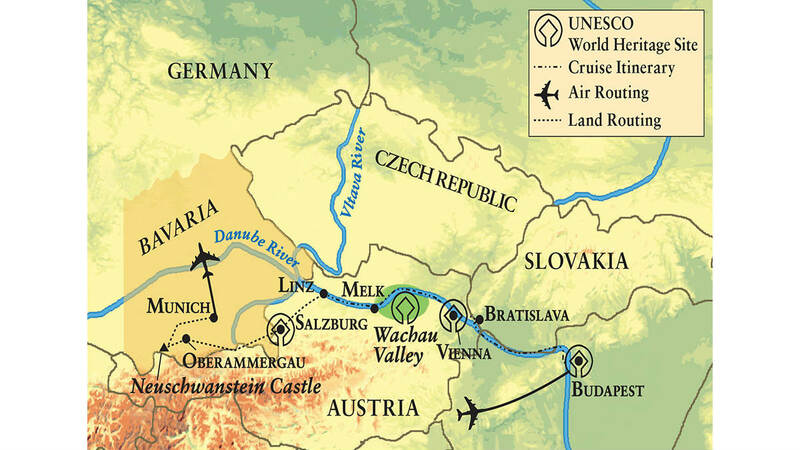 Tour Budapest, Vienna, Melk Abbey, Bratislava and Salzburg,and see Neuschwanstein Castle. Budapest Pre-Program and Munich Post-Program Options offered.